RKL engineering was incorporated in 1981 to provide a skilled workforce to a number of the major biscuit manufacturers for example Mc.Vities, Fox’s, Jacobs, Burtons and Cadbury’s.The company confined it’s operation to the U.K. until 1982 when Mc.Vities were disposing of their old Digestive Plant. We removed the complete line and sold it to a biscuit maker in Venezuela. This was followed up in the same year with sales to Australia and Bangladesh. In 1983 we sold a complete Cream Cracker line to a customer in South Africa who was just starting out in the Biscuit Industry. During the next five years, that same customer came back to us for four more complete lines of plant. In 1986 the Co-operative Wholesale Society closed their biscuit making factory in Manchester and we bought all nine lines of plant. By 1991, we had sold every one of these and were now well and truly established suppliers of high quality second hand biscuit machinery. Demand for our unique service was high as there were few who could supply what we could provide. The year 2006 marked another milestone in the history of RKL Engineering. It was in this year that we were commissioned to build a new oven which would produce all, of the Crackers sold under the Tesco own label banner from that time on to present day. We as a company have never found it necessary to advertise as the majority of our business comes from recommendations and repeat sales to satisfied customers. We do not have a sales force because we believe our machines are our salesmen. When a customer has one of our plants running satisfactorily, then it speaks for itself. 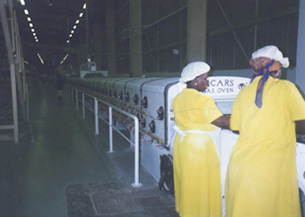 Most of the plants we supply today, in particular the ovens, are all brand new. Over the years we have found that British made machinery has earned itself the reputation of being the best in the world. Built to very high standards, these machines really do stand the test of time and it is this dedication to quality that has inspired us to design and build our own ovens. 1981 – RKL Engineering Ltd was established, originally named Hutchins Engineering Services Ltd. Founded by Keith Stafford and Len Hutchins. 1981 – Approached by United Biscuits Manchester to remove and dispose of an old Digestive plant. 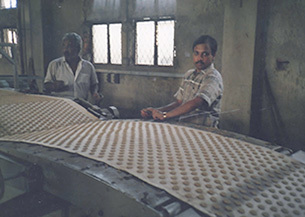 Subsequently sold it onto a biscuit manufacturer in Bangladesh. 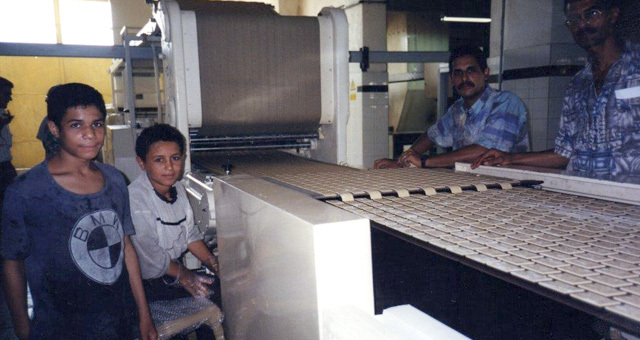 1982-87 – Our South African customer diversified to provide a full range of products and came back to us for 4 more plants. 1986 – Our big breakthrough. 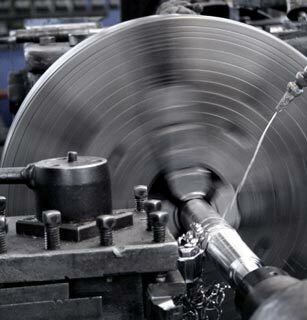 Whilst working closely with the UK industry, the demand for our unique service grew overseas. In this year, the CWS closed their Manchester factory and we bought all nine lines of plant. By 1991, we had sold every one. These deals began what is 30 years plus of expertise in removing, reconditioning, installing and selling on the plant at a lower cost to brand new.